Who doesn’t love Playdough? It’s one of the classic childhood toys that we all have fond memories about. It never needed batteries and it would take the shape of whatever you could imagine. Did you know that you can make your very own homemade playdough? 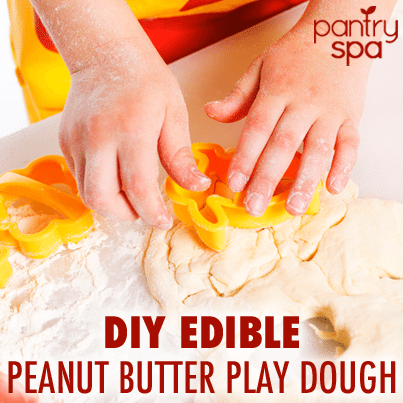 Try this PantrySpa recipe for Honey & Peanut Butter Playdough that your kids can eat. Oops! Fix the link on the Chocolate Truffle! It goes to lip gloss right now! Now a good mix with peanut butter!